GST Keeper is one of the trusted automated GST compliance solution providers. We offer a comprehensive range of GST compliance solutions to assist businesses respond adeptly to changing indirect taxation structure. 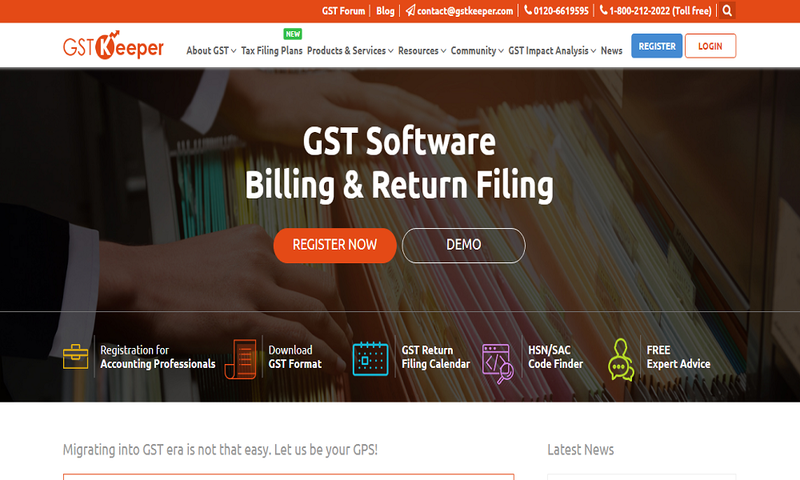 Our cloud-based GST accounting tool can help businesses manage and monitor their overall GST accounting, reporting, and return filing compliance functions quite adroitly. Our highly acclaimed GST compliance solutions, in conjunction with our principled work approach, can enable businesses to leverage all the strategic benefits that GST bestows. We offer a comprehensive range of automated GST compliance solutions! GST Keeper, an expert automated GST compliance solution provider in India, is wholeheartedly committed towards assisting businesses across the country migrate into GST era by ensuring strict adherence to regulatory guidelines. Our enterprise class GST accounting software, equipped with sophisticated GST calculator and geocoding technology, helps businesses leverage the power of automation to ensure scrupulous adherence to jurisdictional requirements. We bank on our visionary business acumen and intellectual integrity to deliver top-tier GST compliance solutions to our esteemed clients. Blessed with a pool of veteran tax experts, seasoned industry analysts, and acclaimed chartered accountants, we are perfectly positioned to assist businesses manage all the GST compliance functions with utmost competence. Our professionals possess comprehensive taxation insights so as to empower businesses in India to improve their business agility and reinforce bottom lines quite coherently. We have industry-wide experience of working with diverse types of businesses, and our automated GST compliance solutions have helped numerous MNCs, SMEs, and blue chip companies maintain robust compliance with jurisdictional regulations. Mission: To help businesses ensure absolute compliance in GST era! We are committed towards helping businesses (across domains) ensure successful migration into GST regime and maintain outright compliance thereon.